Matthew Apgar - mapgar@shawmedia.com Linda Bergquidt of West Dundee creates a flower arrangement for Valentine's Day on Saturday, Feb. 13, 2016 at Periwinkle Florist in Cary. Matthew Apgar - mapgar@shawmedia.com Ally Schebel of Cary, 17, arranges a bouquet of roses on Saturday, Feb. 13, 2016 at Periwinkle Florist in Cary. 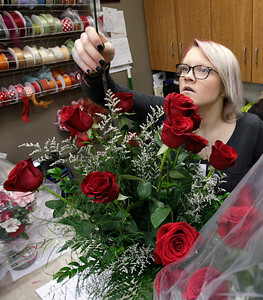 Matthew Apgar - mapgar@shawmedia.com Ally Schebel of Cary, 17, left, arranges boxes as flower shop owner Susan Jensen, front, prepares a bouquet of roses on Saturday, Feb. 13, 2016 at Periwinkle Florist in Cary. 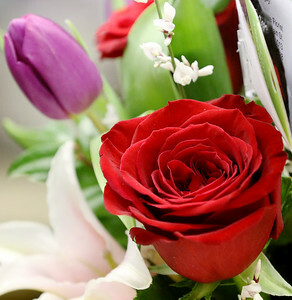 Matthew Apgar - mapgar@shawmedia.com Flowers are neatly arranged for Valentine's Day on Saturday, Feb. 13, 2016 at Periwinkle Florist in Cary. Matthew Apgar - mapgar@shawmedia.com Robert Aunan of Crystal Lake, 19, prepares to make a delivery of flowers on Saturday, Feb. 13, 2016 at Periwinkle Florist in Cary. 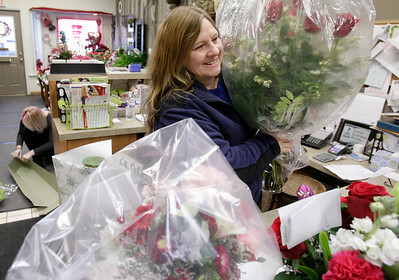 Linda Bergquidt of West Dundee creates a flower arrangement for Valentine's Day on Saturday, Feb. 13, 2016 at Periwinkle Florist in Cary.